1. 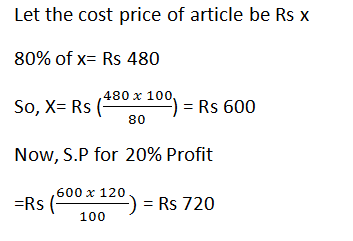 A man wanted to sell an article with 20% profit but he actually sold it at 20% loss for Rs 480. At what price he wanted to sell it to earn the profit? 4. 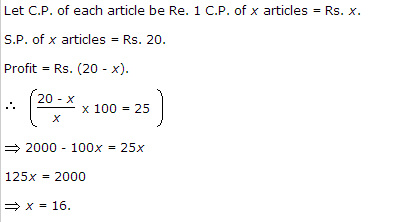 A House worth Rs 1,50,000 is sold by X at a 5% profit to Y, Y sells the house back to X at a 2% loss. Then in the entire transaction? 5. 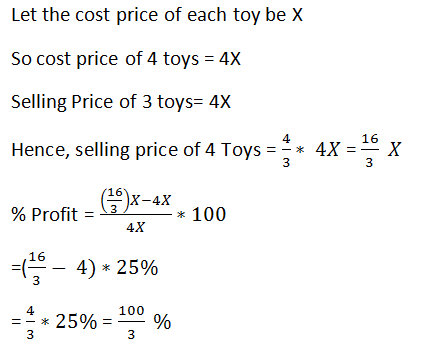 In a certain store, the profit is 320% of the cost. 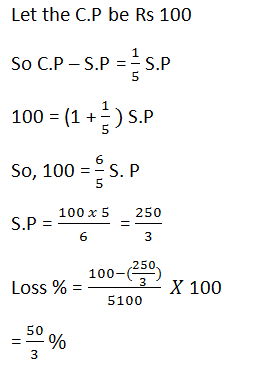 If the cost increases by 25% but the selling price remains constant, approximately what percentage of the selling price is the profit? 6. Sam purchased 20 dozens of toys at the rate of Rs. 375 per dozen. He sold each one of them at the rate of Rs. 33. What was his percentage profit? 9. When a plot is sold for Rs. 18,700, the owner loses 15%. At what price must that plot be sold in order to gain 15%?